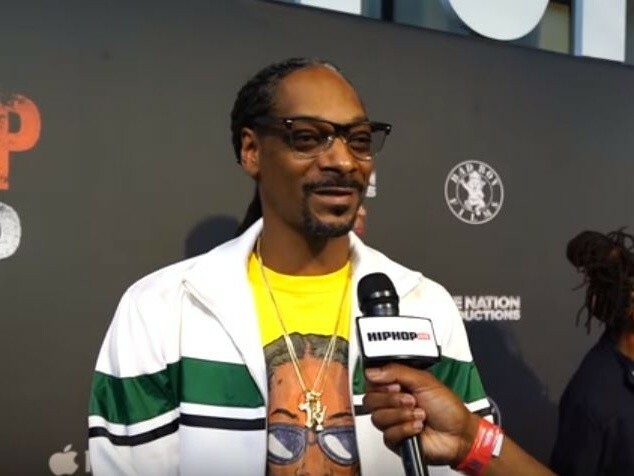 Los Angeles, CA – HipHopDX caught up with Snoop Dogg at this week’s premiere of Sean “Diddy” Combs’ Can’t Stop, Won’t Stop documentary and the Long Beach legend offered some clarification on the “Moment I Feared” visual. When asked about the video, which appears to take aim at Atlanta rapper Young Thug, Snoop explained he isn’t poking fun of anyone and has “respect” for what the younger generation of Hip Hop artists are doing. He also referred to Thugger as his “nephew” and spoke on his contribution to Jeffery rapper’s Beautiful Thugger Girls album. Snoop also discussed what unintentionally became a laughing point in the Tupac Shakur biopic, All Eyez On Me. At several points throughout the film, the lines delivered by Jarrett Ellis, the actor who played Snoop, were overdubbed with Snoop’s voice. Snoop, who later doted on the film, says he was merely trying to provide his assistance in any way possible by creating the voice-over. “I wanted to make sure that anything as far as my participation with the Tupac movie, I was just willing to help because that was my homeboy,” he said. “And I just wanted to make sure that they needed something from me, they could call on me. And I came through for them. That’s what they needed. That’s all they needed. So I gave ’em what they wanted.